If there’s one thing that’s guaranteed about a new iPhone, it’s that designers and developers the world over will have an idea of how it should look. Sometimes, they get it more right than others. 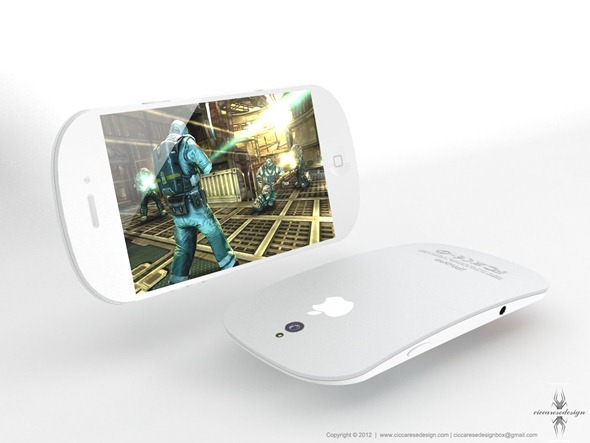 The iPhone 5 is no doubt all-but complete and locked away inside a vault at Apple headquarters, but that isn’t going to stop creative types from mocking up what they think, and indeed hope, the next generation smartphone will look like when it goes on sale later this year. 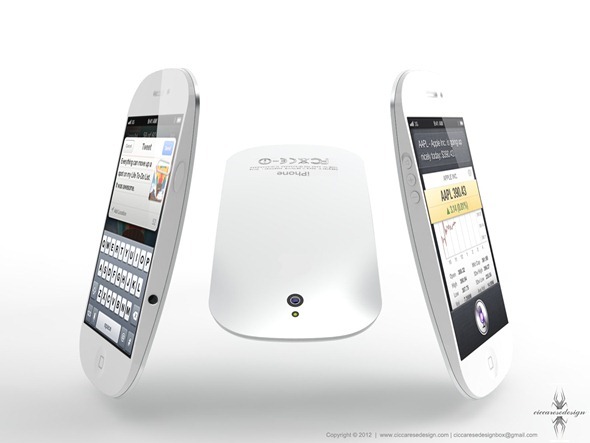 We’ve had plenty of efforts land on our metaphorical desktops over the years, be they special edition handsets designed to remember Steve Jobs by, or a mockup of what designer thought the iPhone 4S – at the time called the iPhone 5 – would look like. Invariably they’re all wrong, but we’ve stumbled across one today which has us hoping, nay praying that someone at Apple sees it and decides to rip up whatever’s planned and start afresh. Designer Frederico Ciccarese has been hard at work mocking up a potential iPhone design and we have to admit, it looks absolutely scrumptious. 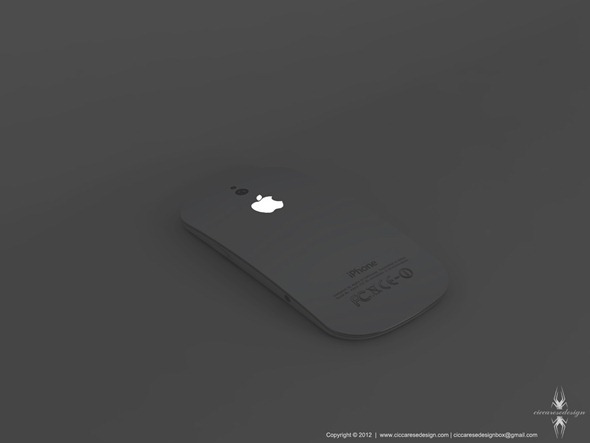 Despite bearing a striking resemblance to the hated Magic Mouse, the concept design has us drooling, though it’s almost guaranteed that Apple’s next iPhone will look nothing like this effort. We don’t know whether we like that curved back plate or the light-up Apple logo most, but together they give the handset a unique look that we’ve really taken to. Of course, that curved back is also absolutely useless in use because you wouldn’t be able to put the iPhone on a table without the whole thing rocking backwards and forwards like a see-saw, which obviously isn’t ideal if you want the thing to just sit still! Perhaps a fold-out kickstand is in order! No, probably not. The idea of placing the camera in the center of the handset is also something Apple is unlikely to do at this point. 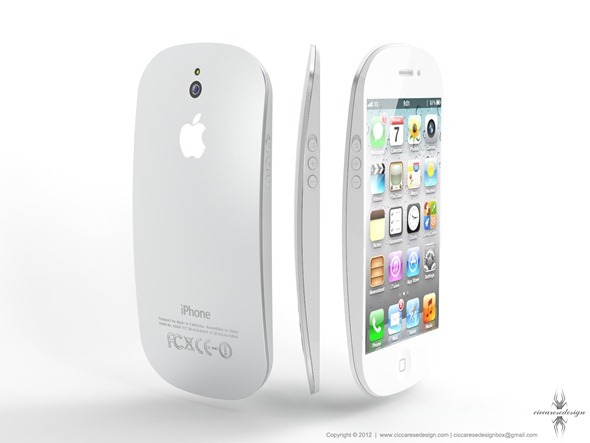 We’re sure to see more iPhone 5 mockups over the coming months, especially when iPad silly season comes to an end over the next few weeks. We’ll just have to wait and see what Apple’s own designers have come up with inside 1 Infinite Loop, but we’re sure we won’t be disappointed. As much as we love the iPhone 4 and 4S chassis, it’s time for something new. Now it’s over to the rest of you designers to keep us entertained until then!